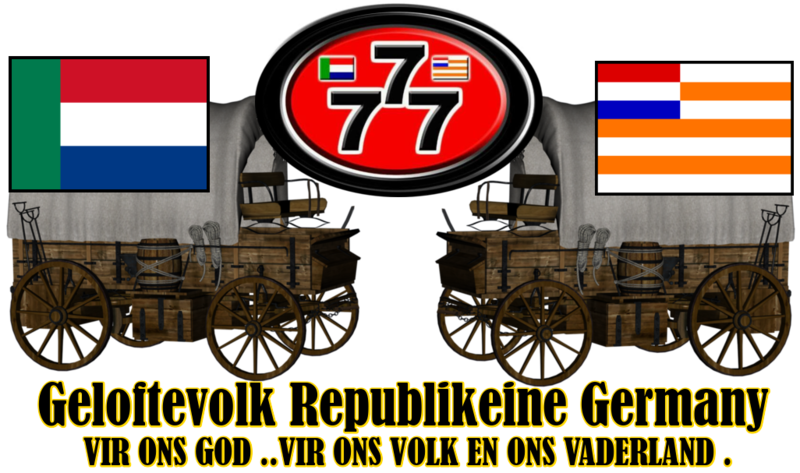 After the murder of Piet Retief and his men by the Zulus on 6 February 1838, the Bloukrans murders and the defeat of the Potgieter and Uys’ commandos at Italeni, it was inevitable that the Voortrekkers would take the initiative and launch a Counter attack against the Zulus. 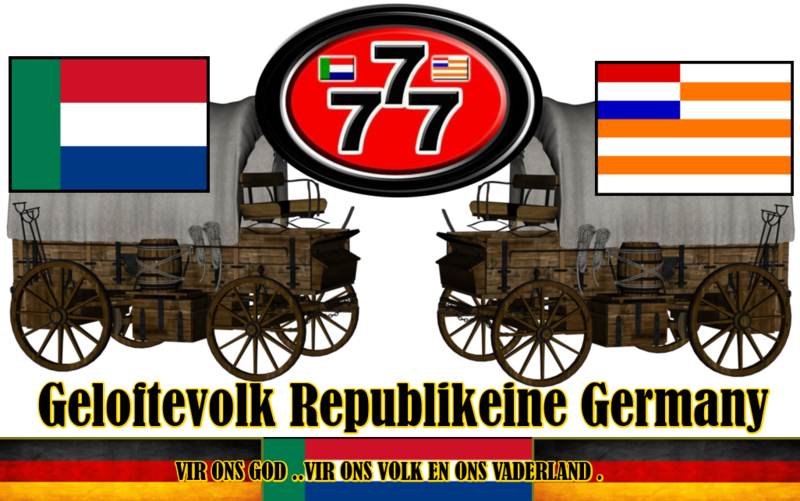 Andries Pretorius was chosen as the leader of the Voortrekkers. 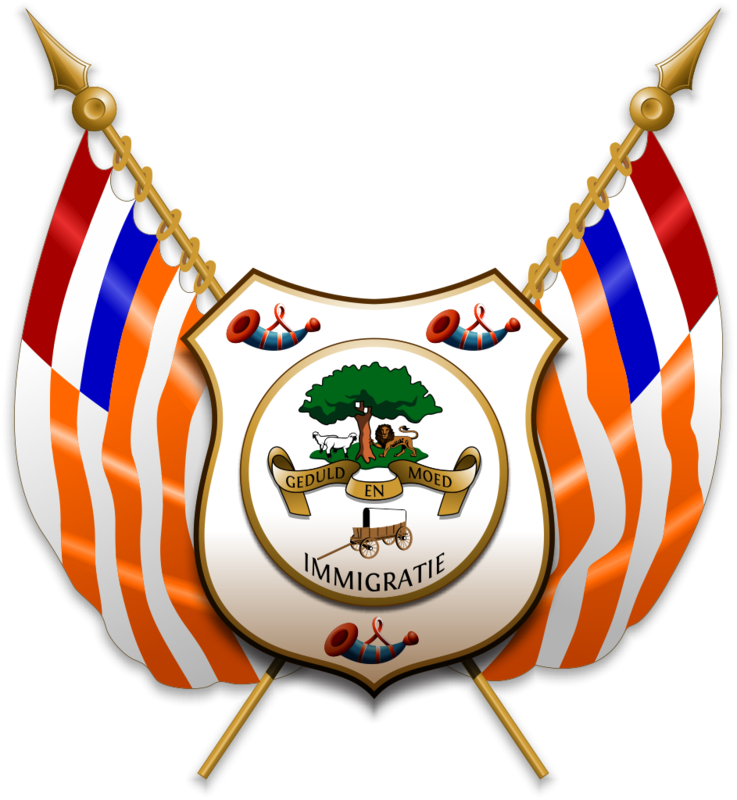 He started organising a commando in November 1838. 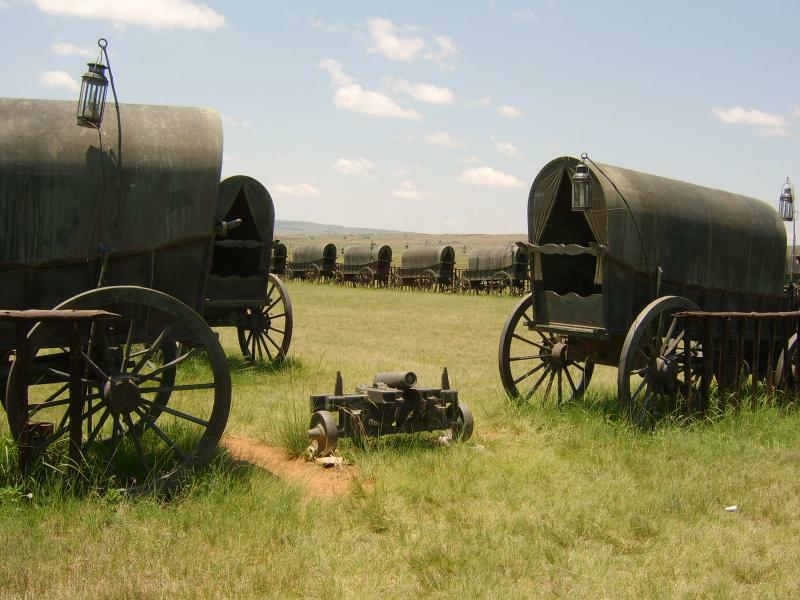 They gathered at the Tugela River on 28 November and departed on 3 December 1838. 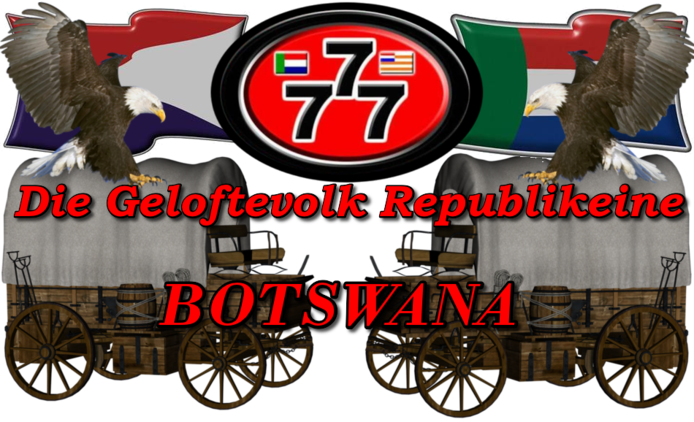 With 64 wagons, 463 Voortrekker men (there were no women involved in the battle), Alexander Biggar and a large´number of Christianised Zulus and Coloureds, with two (possibly three) canons, they started moving towards uMgungundlovo, the stronghold of the Zulu king in the eMakhosini valley. 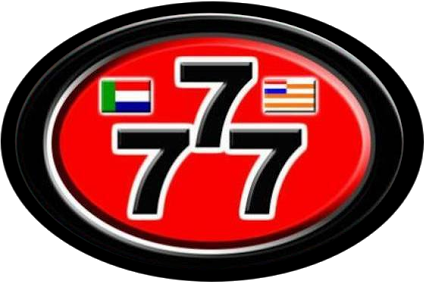 By 9 December they were in the region of Wasbank where they made a Covenant with God under the leadership of Sarel Cilliers. They undertook to commemorate the day eternally as a Sabbath and erect a church in is His name should God help them vanquish the Zulus. The covenant was repeated every evening until 15 December. On Saturday 15 December the Trekkers reached the Ncome River when Scouts sighted the Zulu horde. Pretorius decided to draw a laager to the west of the Ncome River on the edge of a deep gorge in the river. 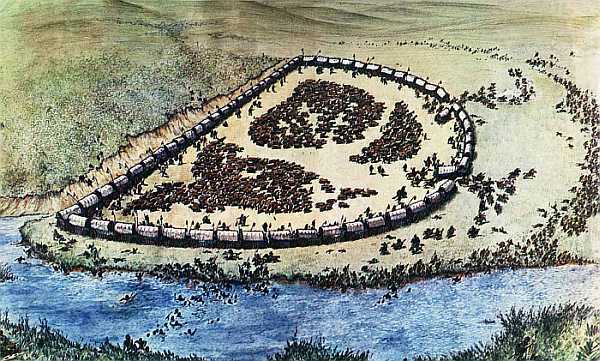 The proximity of a hill (now Vegkop) and a hippopotamus hole next to the river, would shelter the laager. The wagons were fastened securely together and branches and ready-made fighting palisades were fastened onto the openings under the wagons. 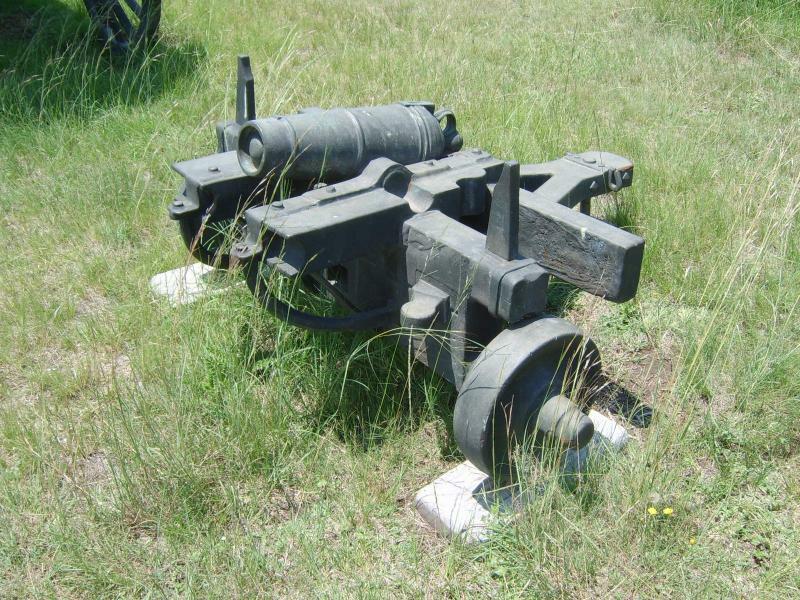 The canons (old Grietjie and a ships’ canon belonging to Pretorius) were placed in strategic openings in the laager. About 900 oxen and 600 horses were kept inside the laager. The night of 15 December was pitch dark and a heavy mist covered the area. Sentries were posted and lanterns were hung from the ends of whip poles. It is speculated that the Zulus possibly wanted to launch a night attack but got lost on the dark and mist. By daybreak the approaching Zulu horde could clearly be heard. 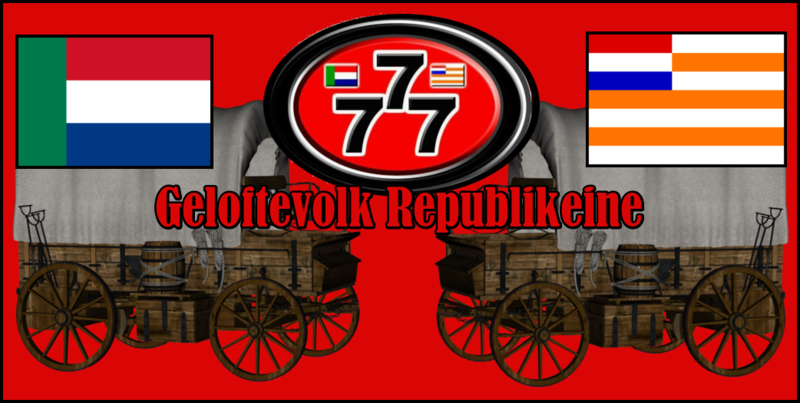 The Voortrekkers did not fire until the Zulus were very near to the wagon “wall” and then they attacked with guns and canon fire. 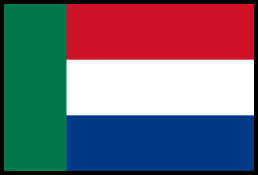 The Zulus attacked the laager repeatedly and were unsuccessful. After two hours, when the third massive attack had been repelled, Pretorius sent out a commando force on horseback to confront the Zulus directly. Another part of the Zulu horde was bombarded with canon fire. Death and confusion ensued amongst the Zulu warriors. Some of their regiments started falling back and the commando and canon fire gradually split them in two. 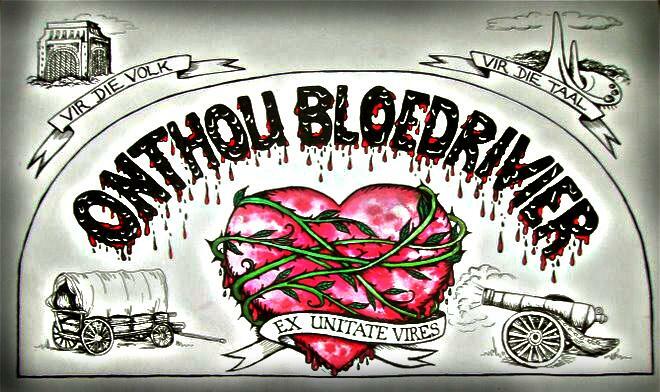 One section fled to the river where they were decimated crossing it – from there the name Blood River. Many fled into the gorge where they could not move and the short distance gunfire caused havoc. The Zulus began falling back in every direction and were pursued by groups of horsemen. sporadically at the site until it became an annual event. The church of the Covenant, as undertaken when making the Covenant in 1838, was completed in Pietermaritzburg in 1842. 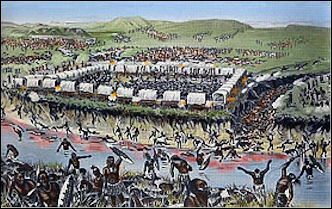 Today this battle which took place at the Ncome River, is referred to as the Battle of Blood River / Ncome. 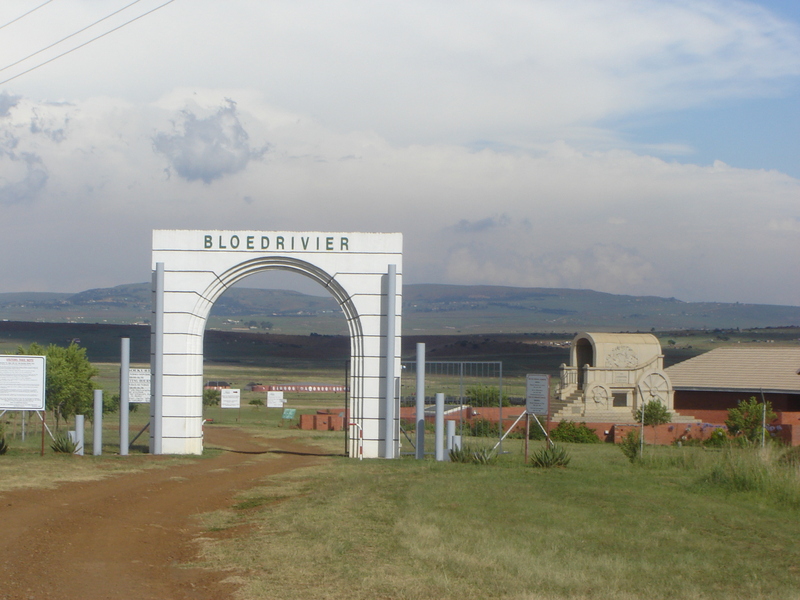 The battle of Blood River is depicted in the broader context of the Great Trek in the museum. The monument was completed in 1939 but could only be unveiled in 1947 because of the Second World War (1939-1945). The wagon was initially placed over the stone cairn that was erected in the middle of the laager with a window inside it through which the lighted rock cairn could be seen. 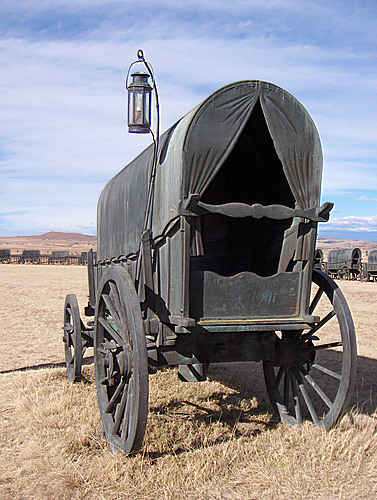 It was moved to its current position in 1971 when the wagon laager was erected. 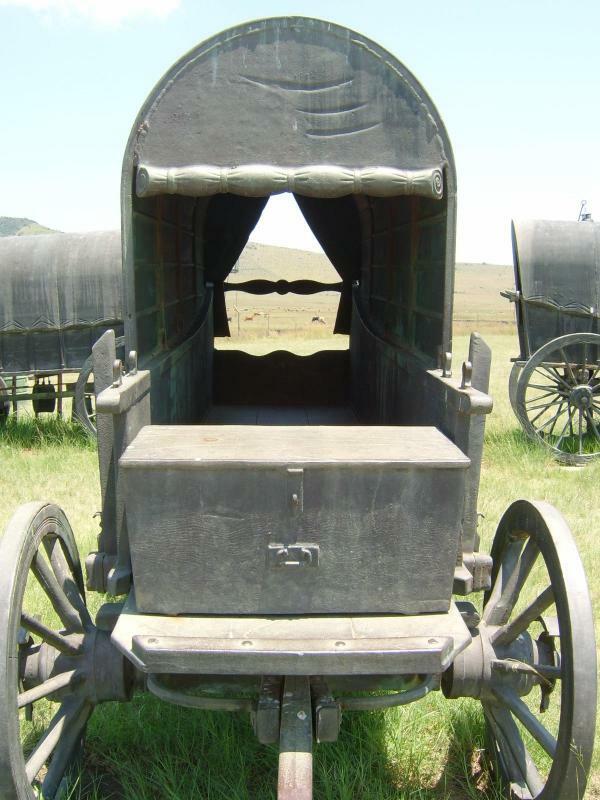 The wagon is symbolically seen as the home, fortress and church of the Voortrekkers. The pyramid shaped beacon was erected during the Voortrekker Centenary in 1938 and is a “Covenant Renewal Beacon”. The stone cairn is the earliest memorial on the site. 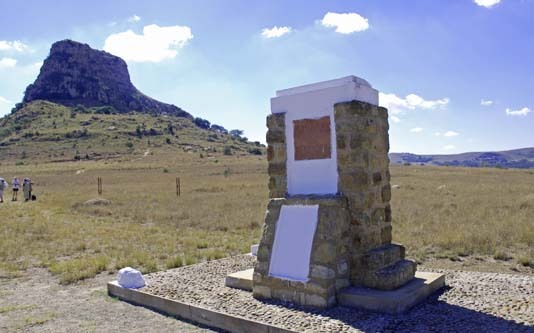 It was erected on 16 December 1866 when 40-50 wagons gathered to commemorate the battle of 1838. 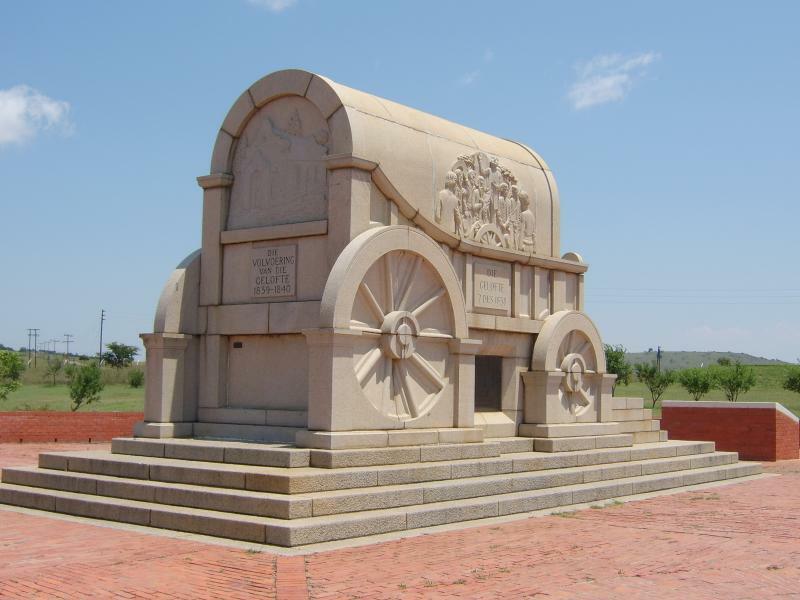 The wagon laager was erected as a replica of the original laager and was not meant to be a monument. 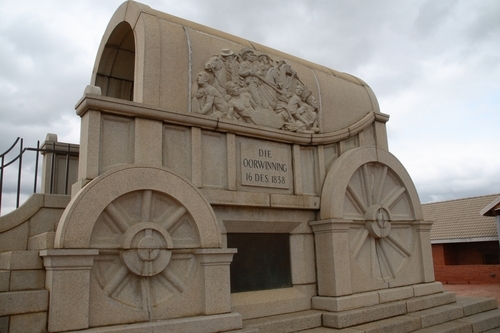 This wagon laager was erected and unveiled on 16 December in 1971 on the site of the original laager of 1838. This reconstruction of a wagon laager is unique in the world. 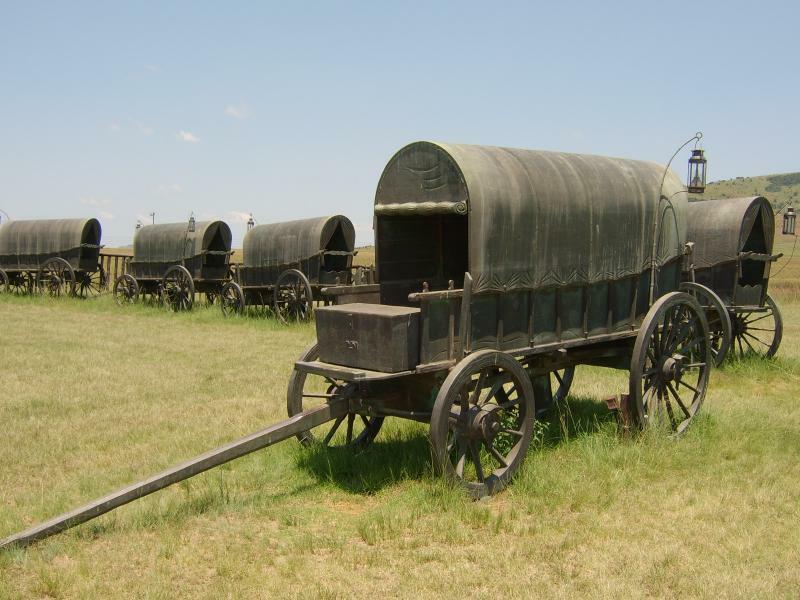 The wagons were constructed from wrought iron, covered with bronze and stand on concrete foundations. 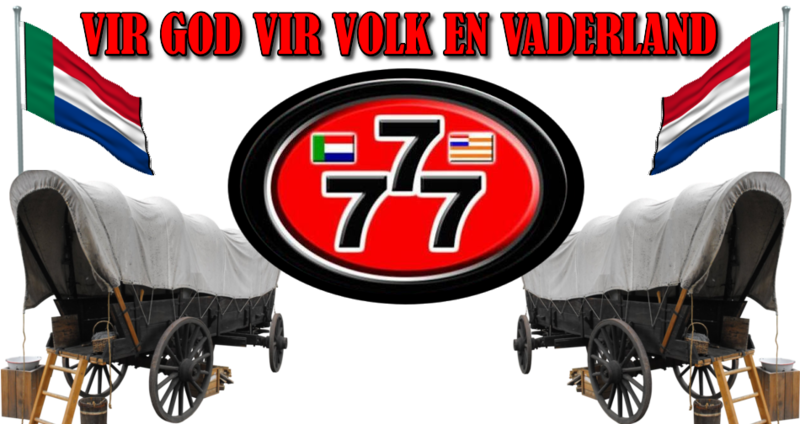 Each wagon is identical and has been modelled on the “Johanna van der Merwe” centenary commemoration wagon. 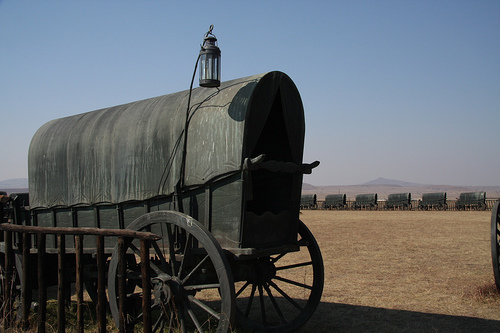 The wagons in the laager without tents were used as ammunition wagons. To reconstruct the battle palisades that were used to keep the Zulu warriors out, wattle wood was used. Replica lanterns, fastened to long whip handles were placed at each wagon. The lights can be switched on request so that overnight visitors may have a preview of what the Voortrekkers experienced on the evening before the battle. Andries Pretorius brought this ship’s cannon with him from the Cape. It is mounted on a light undercarriage with two wheels. The cannon was placed facing east across the river. When loaded with shrapnel, pieces of pot iron and stones, it could fire a distance of at least 3 000 metres. 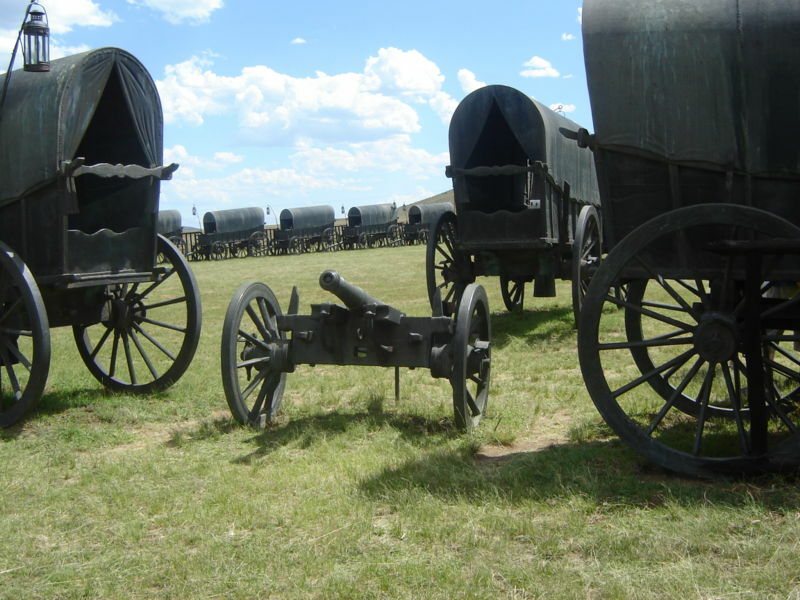 According to certain historians there were only two cannons at the battle of Blood River and according to others at least three. 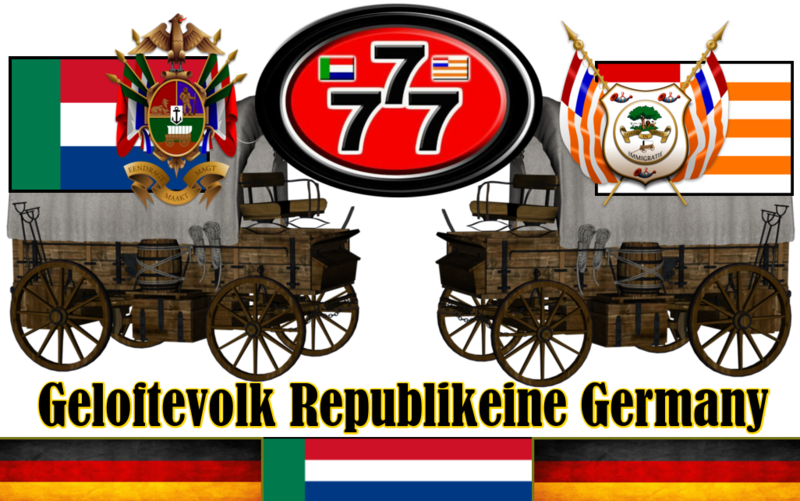 The northern opening of the laager served as a portal through which the Voortrekker force could go out and follow the Zulu forces. 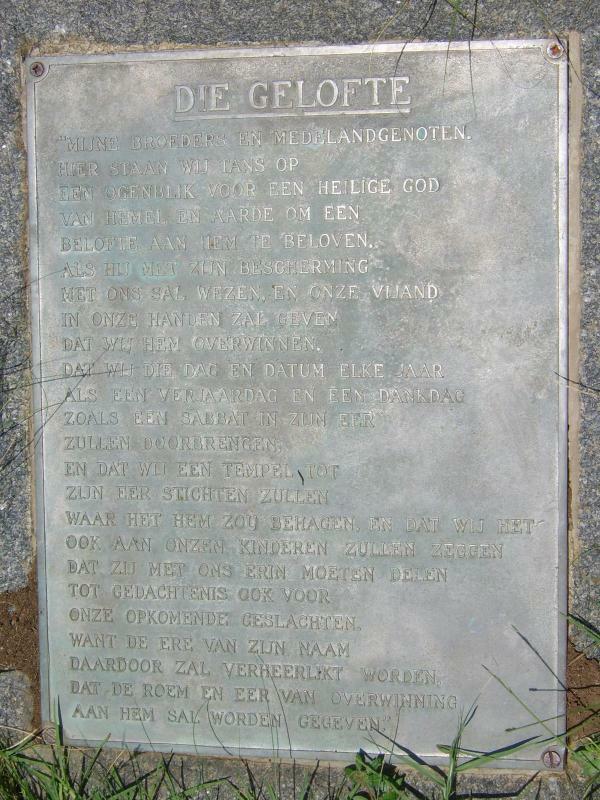 The ship’s cannon “Grietjie”, on a home-made carriage was placed here. 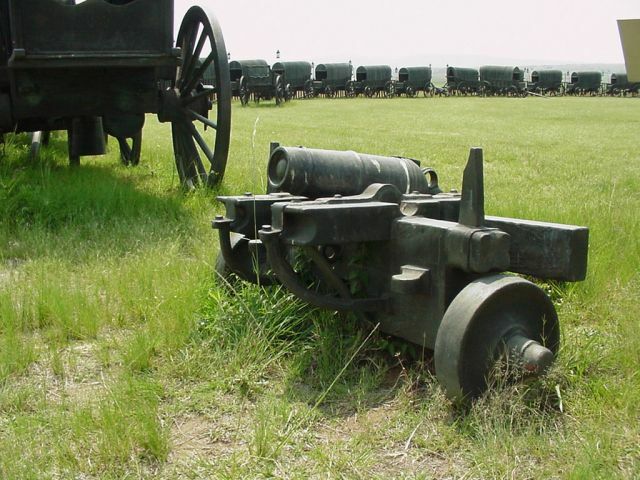 The cannon has a range of 300 – 400 metres. 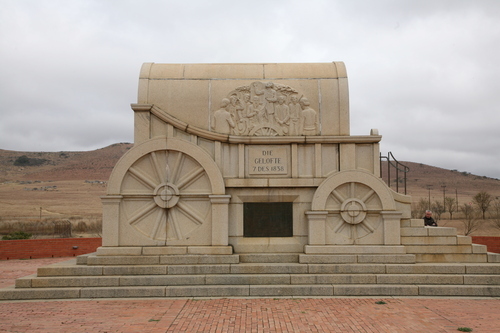 The original cannon currently stands in the museum of the Voortrekker Monument in Pretoria. 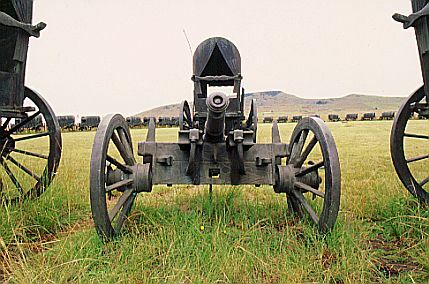 A second replica of the cannon “Grietjie” stands on the spot where the big cannon stood during the battle. It is not known what this cannon looked like. 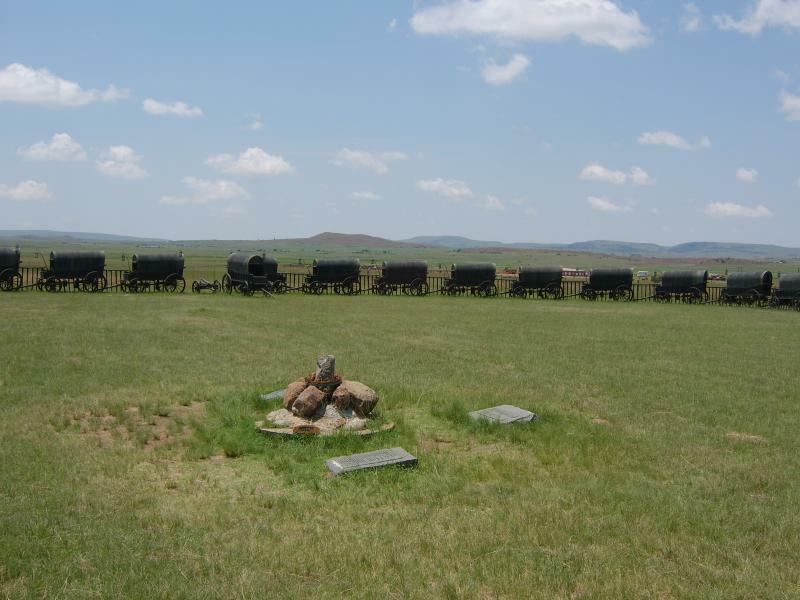 The site is located 43 km from Dundee, 24 km from Nqutu and 73 km from Vryheid. 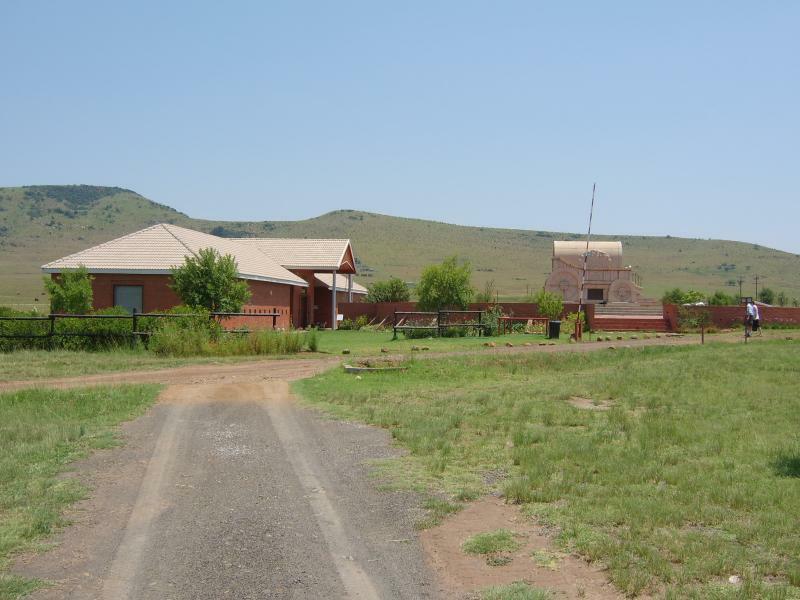 This site is approached via a gravel road (De Jager’s Drift) off the R33 between Vryheid and Dundee. The site is sign posted with Blood River, Ncome or Blood River eNcome signs. 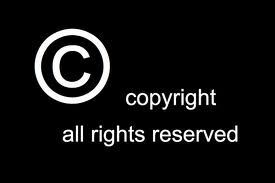 Andy Dezius - Senior Webmaster Designer PA8 - Graphic Designer and Homepage Layout , @copyright 2018. Homepage-baukasten.de. - Homepage Maintainer In Germany.